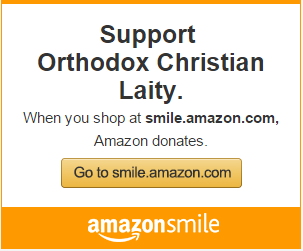 Support Orthodox Christian Laity. Be part of this important and exciting work! Make a one-time donation or subscribe to our recurring monthly donation plan. We use PayPal. Don’t have a PayPal account? No problem. We take Mastercard, Discover, VISA and American Express too. Just click on the “Donate” button to begin. PayPal online donations does not allow you to specify a designated gift. If you want to make a designated gift rather than a general donation, please make your donation and then drop us a note. We will designate your donation on our end as soon as we receive your note and reply by return email. Choose the amount you want to donate every month below, and click the “Subscribe” button. Every month your donation will be sent automatically. To suspend an existing recurring contribution, please contact us. 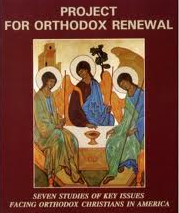 Please make checks payable to Orthodox Christian Laity. Your donation is tax-deductible. 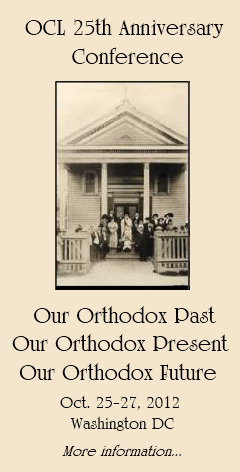 Orthodox Christian Laity is an independent, national, Pan-Orthodox, 501 (c) 3 non-profit, educational association, incorporated in the State of Illinois on March 17, 1988. Click here for more information.